The illegal trade in untaxed cigarettes has come to be recognised as a significant problem around the world. According to some estimates, almost one third of global cigarette exports is funnelled into black markets (Joossens and Raw, 1998: 66), accounting for between 6 and 8.5 percent of all cigarette consumption (Merriman et al., 2000: 383). 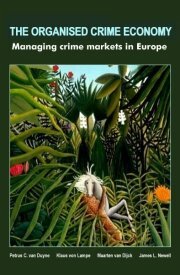 However, the problem appears to be unevenly distributed across countries and regions, with Germany, the focal point of this chapter, falling into a middle category of countries that experience a considerable level of cigarette smuggling but not as much as the countries that are most affected (European Parliament, 1997, 63; Merriman et al., 2000: 373- 374).